Emergency crews in the western suburbs rescued a boy who had fallen into a pond Tuesday afternoon. 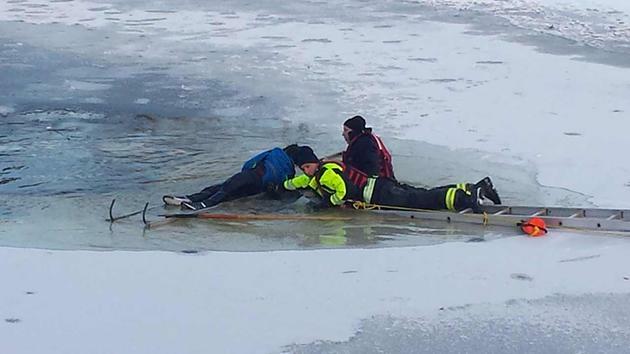 Downers Grove firefighters responded to a 911 call at 3:30 p.m. for a report of an individual calling for help after falling through the ice in the 7100-block of Dexter. Within five minutes of their arrival, firefighters were able to bring the boy to shore. The boy was conscious and transported to Good Samaritan Hospital in good condition.